Gibson Museum is named for Chauncey W. Gibson, who donated funds for the building, which became the Middletown Public Library in 1930. When the library moved to its new quarters across the street in April 2013, volunteers gained use of the building for Gibson Museum & Cultural Center. Middletown residents had known the Chauncey W. Gibson Library for 83 years before its building became the Gibson Museum & Cultural Center. It was known as the Gibson Library because the funds for the building and its initial stock of books had been donated by Chauncey Walstein Gibson. But few of us know who Chauncey Gibson was. Gibson was best known in Lake County as the owner of Castle Rock Springs, a resort located 800 feet higher up the mountainside west of Anderson Springs. Until he acquired the small resort in 1910, it had been known as Mills Hots Springs, offering hot springs for bathing and cool sulphur spring water for drinking to remedy your health. Gibson improved it considerably, adding a hotel and cottages, an enlarged bath house with swimming pool, and a dance pavilion. An entrepreneur who came from Michigan to California as a young man, Gibson invested several different kinds of businesses, including the resort, but made his fortune in the manufacture of carbon dioxide, or more specifically the manufacture and distribution of dry ice. Having earlier established a thriving wholesale grocery business, he recognized the potential in shipping fresh produce from California to the states to the east. His home was in Oakland, but following the death of his son Houdd in 1919 (two other sons had died in childhood) and his wife Lovina in 1921, he retired to a vacation home in Middletown. renamed Camp Houdd Gibson in memory of his son, near Middletown to the Salvation Army. Gibson valued books and libraries, and favored them in his charitable contributions. Prior to his Middletown effort, he had been the primary donor to the Montclair and Melrose libraries in Oakland. Throughout the 1920s he donated thousands of dollars to buy books for various branch libraries in Oakland. More than 3,400 books from Houdd Gibson’s personal collection went to Oakland’s Melrose branch library, and in 1929 more books from Houdd’s collection seeded Middletown’s first library. volunteered to take over it operation, funded by community groups such as the Middletown Luncheon Club and the Social Seniors Over 60 Club. The library continued as a volunteer project for over forty years. In 1971, it was part of the Lake County Library Demonstration Project, a joint federal-state program. In 1974, the County of Lake took existing libraries into its own library system. Proposition 13 forced reduced hours in 1978 and limited Gibson Library’s funding has been limited throughout its lifetime, but the county’s careful fiscal management has kept the library open. A children’s room was built and public computers with Internet access were installed with the aid of volunteers in 2000. The county library system in 2001 began sharing an online catalog including Lake, Sonoma and Mendocino counties. 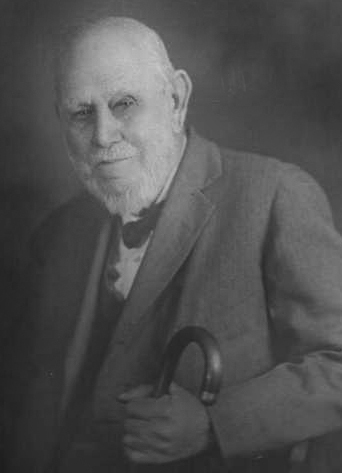 Gibson had planned to set up an endowment fund to maintain and support the Middletown library, but he died in June 1930 only a few weeks after the library’s grand opening festivities. The Friends of the Middletown Gibson Library formed in 2000 for the library’s 70th anniversary, and continue to raise money and publicize the library. The group in April 2013 migrated its activities to the handsome new library across the street in Middletown's Community Center. And the Gibson Museum & Cultural Center volunteers began the daunting challenge of turning the historic building into a compelling museum of local history and creativity.